Stepping away from its usual practice of working with partners to provide cloud services,. 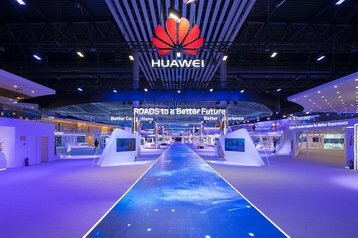 Huawei is set to bring its first African data center online by the end of this year. The company, which confirmed plans to launch the South African region at Huawei Connect in October, according to MyBroadband, has kept the exact location of the facility a secret, specifying only that it will be in Johannesburg. Though the country has long been devoid of any dedicated cloud data centers, this is set to change: Microsoft, which already offers cloud services in the country from a third party facility, is also building an Azure data center in Johannesburg, well as another in Cape Town. Meanwhile, AWS recently confirmed that it would launch a cloud region - or three availability zones, comprising at least one facility each - in Cape Town in 2020. The Chinese telecommunications giant established its cloud divisionin 2017 with 54 full stack services, promising to become one of the five top providers globally. It now offers more than 120 services, building its own cloud data centers in Hong Kong, Thailand and Russia - as well as a facility on behalf of Batelco in Bahrain- and working with partners across the EMEA, APAC and LATAM regions. The company usually works with local telecoms firms, choosing only to build facilities when it fails to find suitable partners. Instead of focusing on the US and European markets dominated by AWS and Microsoft, and where its growth is scuppered by governments suspicious of its affiliations with the Chinese government, it tends to target developing markets, where it has the advantage of existing infrastructure partners. In addition to the new cloud region in South Africa, the company has confirmed plans to eventually roll out cloud services across the African continent.